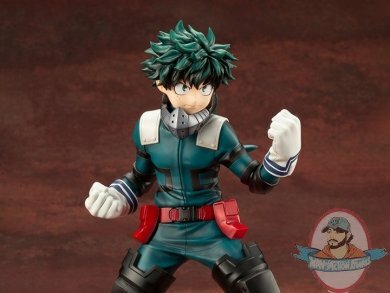 Izuku Midoriya from "My Hero Academia" gets an ARTFX J figure release from Kotobukiya! 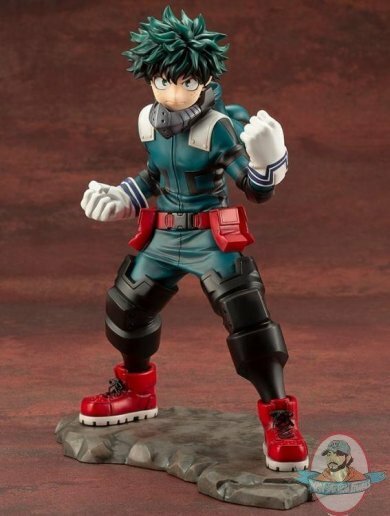 Dressed in his green hero costume, Deku takes a defensive pose as he waits for his opponent to make a move. His fists are clenched, and his confident expression says he's already predicting the outcome of the battle. 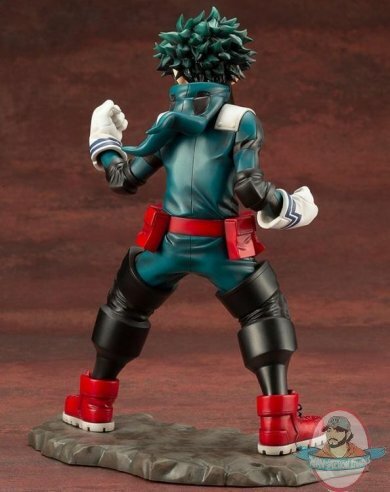 His hair is nicely detailed and features shading to give it even more depth, and his All Might-inspired mask is sculpted blowing in the wind behind his back. 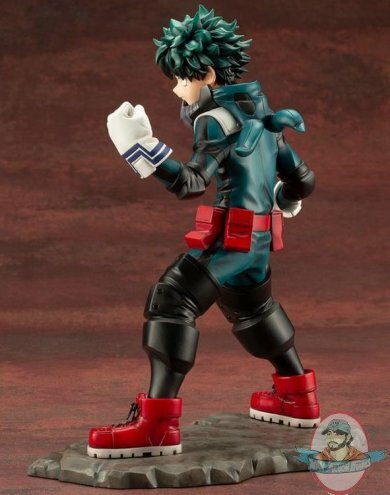 He comes with a ground-like base to bring out even more of the environment from the show.